Ohana Chem-Dry offers a convenient, on-site drapery and window treatment cleaning system that can be done right inside your home. Our highly trained technicians are fully qualified to safely clean your valuable drapes and window treatments throughout your home or business. Our unique method of cleaning allows our customers to keep their valuable window treatments on the wall throughout our effective cleaning process. 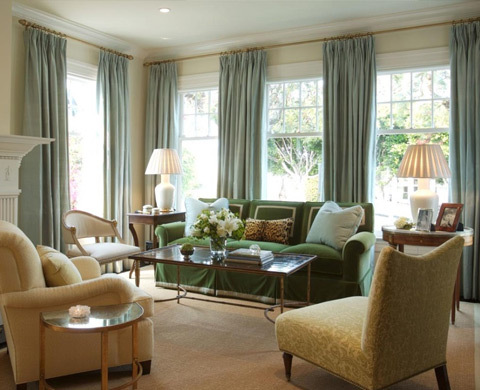 Additionally, the dry method of cleaning we use when cleaning guarantees that there will never be any water marks or shrinking of the drapes or window treatments in your Honolulu area home. Our Ohana Chem-Dry professionals have the appropriate knowledge and tools in order to properly evaluate the best and most effective cleaning process to use on the valuable drapes and window treatments in your home. You can successfully extend the life of the valuable drapes and window treatments in your home by putting your trust into our Chem-Dry cleaning professionals and by using our exclusive cleaning system. Our highly effective cleaning process will help get rid of the dirt, spots, stains, soils, allergens, and dust mites that may be trapped in your fabrics, affecting the quality of the indoor environment of your home. Call Ohana Chem-Dry today at (808) 798-8703 to schedule an appointment to get your drapes and window treatments conveniently cleaned and looking their absolute best.